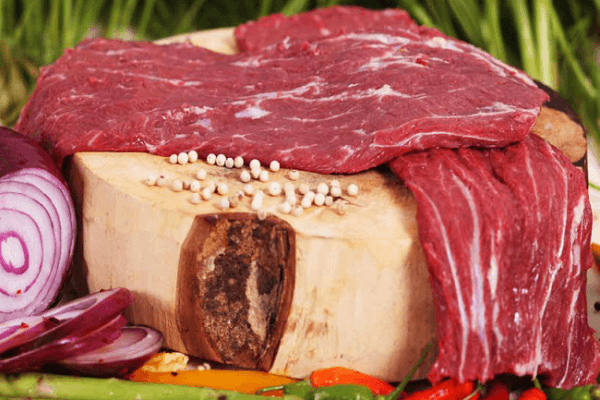 Flat Iron Steak is prepared from the Top Blade also known as Oyster Blade. The thick tendon which runs through the middle is removed along with the silver skin, leaving 2 lean flat iron steaks. The cut is then squared to ensure no waste. Each steak is approx 800 grams in weight and is tender, lean and surprisingly juicy.